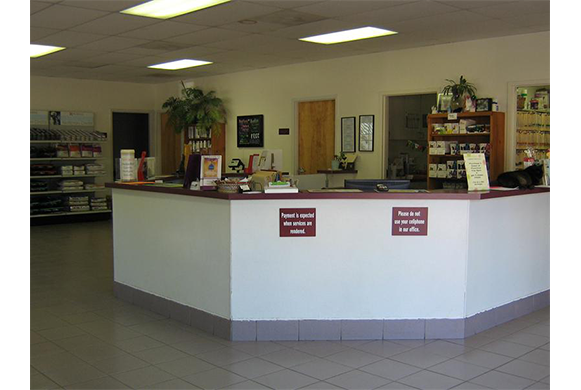 Dr. Bill's Pet Infirmary provides a spacious front lobby with benches where clients can wait comfortably. 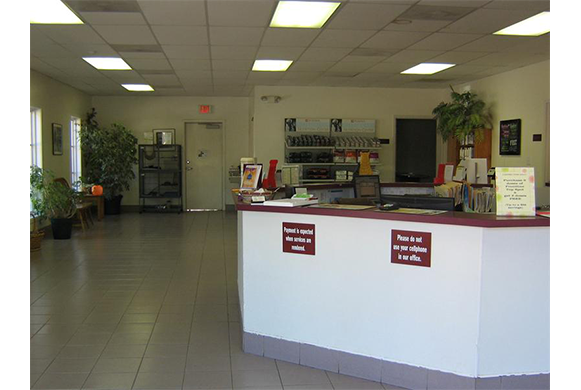 The lobby includes a large front desk where our staff is able to assist clients and answer any questions regarding your beloved pet(s). Dr. Bill's provides a fully stocked pharmacy. From antibiotics to anti-inflammatory medication, we provide you all with the best of medication and no extra trips to other pharmacies! 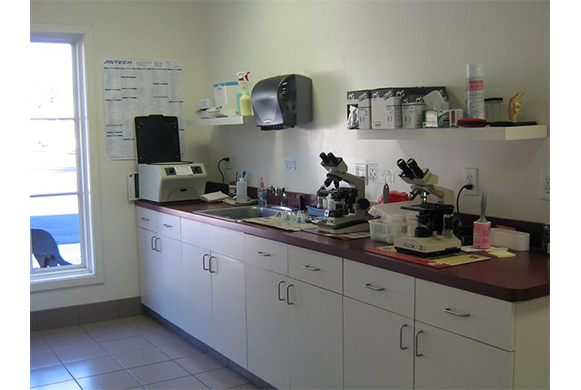 In this area our Veterinarians and Veterinary Technicians are able to accurately test for intestinal parasites, blood parasites such as heartworms, tickborne diseases, Feline Leukemia, Feline Aids, and Feline heartworms. Urine samples and ear swabs viewed under the microscope aid in the diagnosis of different problems, such as infections. 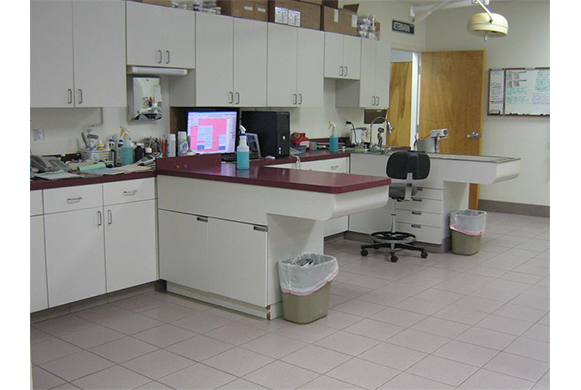 In our treatment area the Veterinarians and Veterinary Technicians can run tests, treat patients, view X-Rays, prepare patients for surgical procedures, and perform dental cleanings. 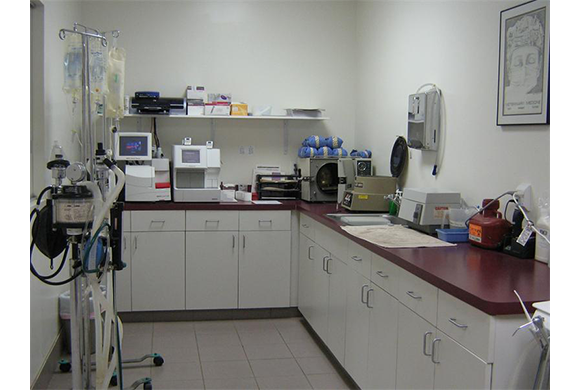 This lab area is where most of the bloodwork is done. Dr. Bill's Pet Infirmary offers some of the newest technology available that allows the Veterinarians and Veterinary Technicians to see the results of most blood tests within 15 minutes. 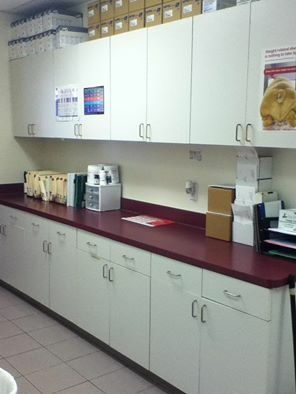 Any specialized blood tests can be sent off to a lab and most results received within 1-2 business days. 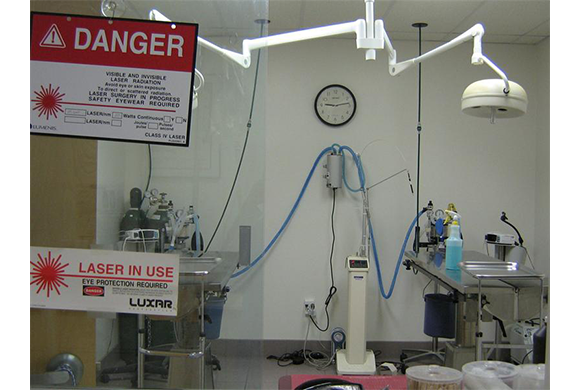 Dr. Bill's Pet Infirmary includes a digital X-Ray system that allows X-Rays to be viewed within seconds by the Veterinarians. 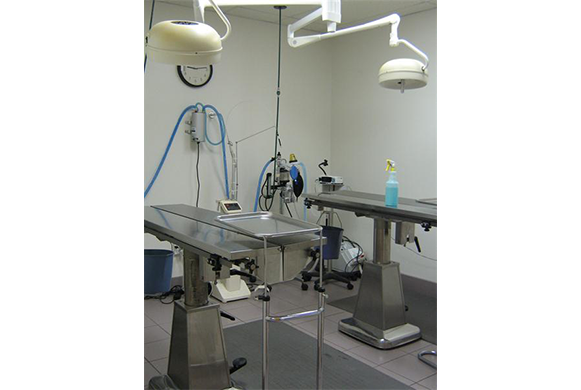 The surgery suite is where any surgical procedures performed by the Veterinarians takes place. 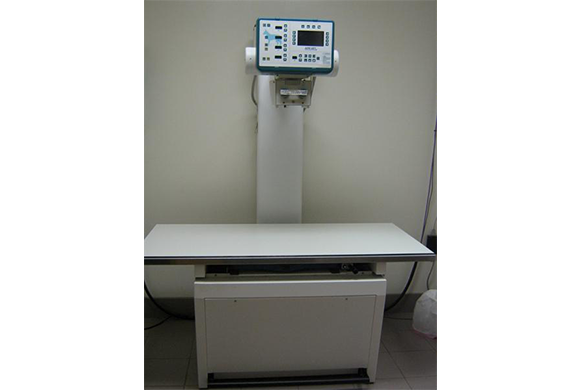 Patients are monitored closely while under anesthesia with Pulse Oximeters and EKGs. Laser surgery is available. Laser surgery is less invasive and less painful than traditional scalpel surgery. It results in less bleeding and swelling around the incision. 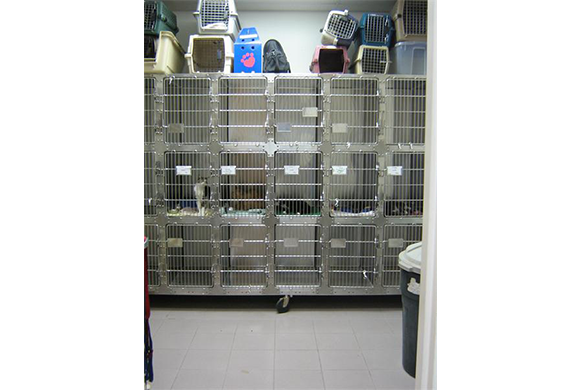 The Cat Ward is where any hospitalized feline patient is kept during their stay. The cages are lined with blankets or towels for comfort. All patients are closely monitored by the staff during their visit. 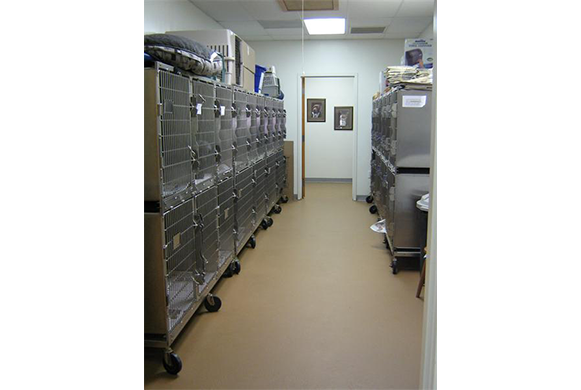 The Dog Ward is where any hospitalized canine patient is kept during their visit. 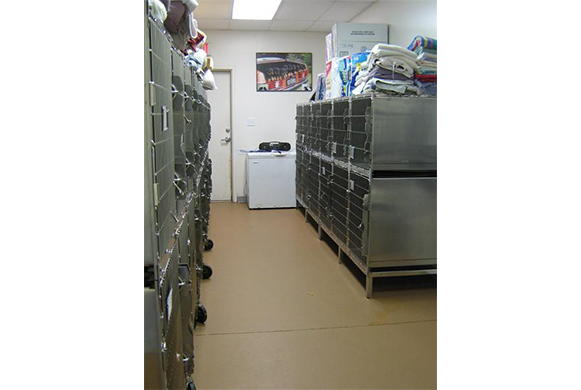 There are small, medium, and large cages to accommodate all sizes and they are lined with blankets and towels for comfort. The patients are closely monitored by the staff during their stay. Indoor runs are avaialable for all large canines and blankets are provided. Boarding is available to our cleints. 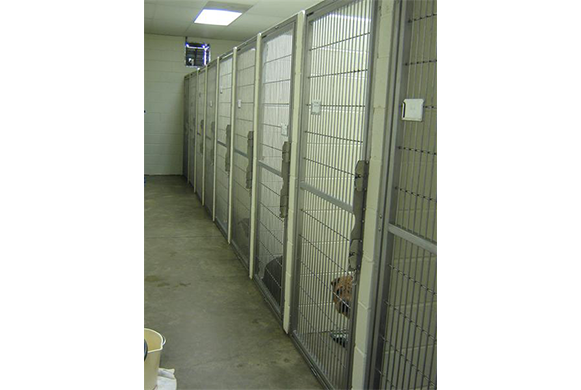 The small, medium, and large cages are lined with blankets for comfort. The kennel is stocked with bowls. Food is provided as well if clients prefer not to bring their own. 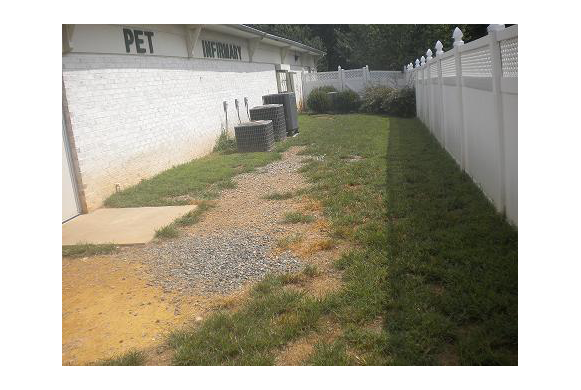 Dr. Bill's Pet Infirmary has a spacious fenced in area where dogs are allowed to stretch their legs and play. All dogs are walked 3-4 times daily by our kennel attendants.